At Hutcheson Horticultural Company, our priorities include providing quality and safe landscaping installation and maintenance. Additionally, we provide helpful information for our customers regarding other topics that come up in conversation. We can not deny that we do have many conversations regarding lawn care and other topics. Since we are in the middle of summer, and experiencing all things summer related, we have had some recent conversations regarding one of the summer pests that we Georgians know all too well. What is this pest? You have most likely experienced the aftermath of this pest in the form of itching and irritation. If you have not guessed it yet, we are talking about the common mosquito. We often hear how annoying these critters can be and have some helpful tips to share in managing mosquitos. Mosquitos can hide out anywhere. However, they love to take advantage of standing water when it comes time to reproduce. 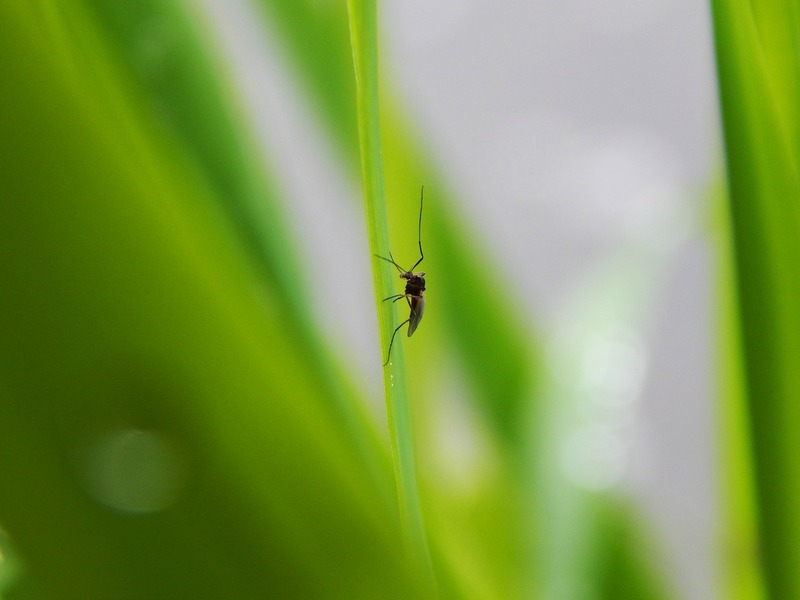 One clogged gutter or neglected bird bath can become an ideal breeding ground that will yield thousands of new mosquitos. Storm damaged trees fall and often uproot soil along with part of their root system. This can leave a depression in the earth that is prime for water collection and a breeding ground for mosquitos. Removing the tree and filling in the hole will help solve this potential problem. This includes neglected bird baths, tire swings, clogged gutters, animal water bowls that are outdoors. Some plants are helpful for humans, but not at all appreciated by mosquitos. These include lavendar, basil, and garlic. While humans enjoy cooking with these or including lavender fragrance in a variety of products, mosquitos simply can’t stand them! Planting these types of plants along with a variety of others will help to repel mosquitos naturally. If you have any lawn maintenance concerns, or additional questions, contact Hutcheson Horticultural Company today!